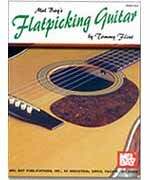 'Flatpicking Guitar' is a wonderful collection of 23 up-tempo, foot stompin' tunes arranged for flatpicked guitar. 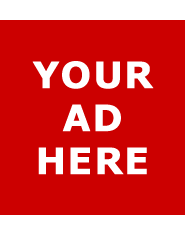 Written in standard notation and tab, the playlist includes: 'Arkansas Traveler;' 'Bile Them Cabbage Down;' 'Fire on the Mountain;' 'The Devil's Dream;' 'Listen to the Mockingbird;' 'Old Joe Clark;' 'Sailor's Hornpipe' and more. Happy Traum makes it easy for beginners to play favorite bluegrass tunes. He teaches all the basic techniques needed and helps guitarists build their own repertoire. Happy covers pick technique, elementary theory, song accompaniment, and how to play solos. This long-time video favorite is now available in a DVD three-pack! Steve Kaufman's comprehensive course in bluegrass flatpicking starts at the beginning level and takes students to advanced techniques that will enable them to hold their own in any band or jam session. Tony Rice slows down his fabulous picking style as he demonstrates his hard-driving flatpicking solos, accompaniments, intros and licks. Includes: Gold Rush Blackberry Blossom Muleskinner Blues Church Street Blues Cold On The Shoulder & more. 60-MINUTE DVD INCLUDES MUSIC + TAB LEVEL 3.